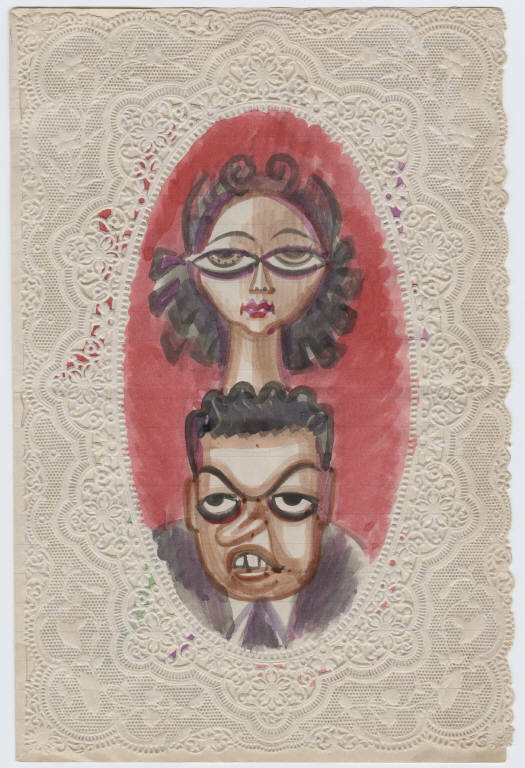 Miguel Covarrubias, Hand painted New Year’s card sent to Carl Van Vechten (Portrait of Rose and Miguel Covarrubias), 1946. From the Carl Van Vechten Papers. Miguel Covarrubias, Hand painted Christmas card sent to Carl Van Vechten (portrait of Rose and Miguel Covarrubias).